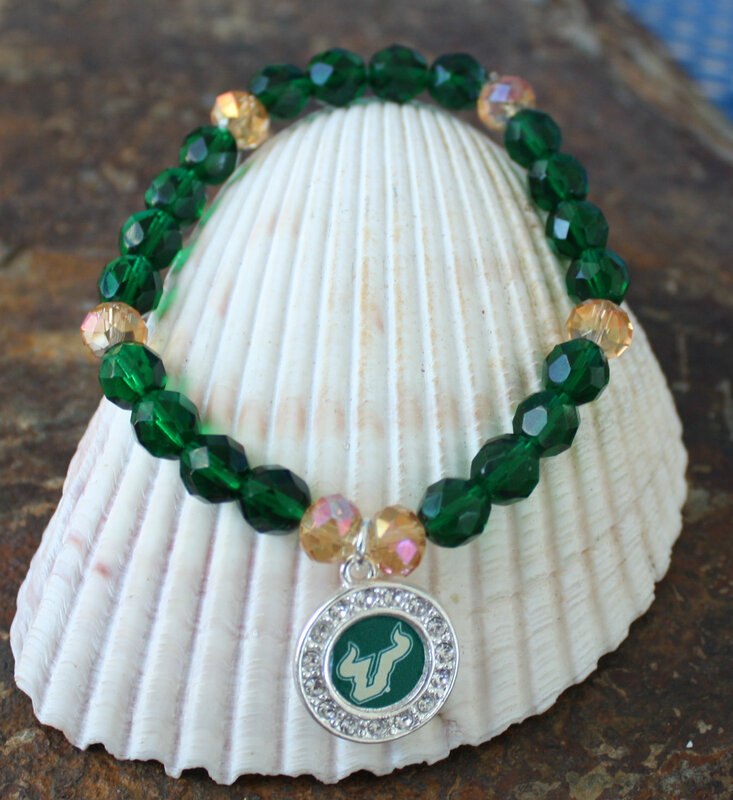 Show your love for the University of South Florida in style with this beaded bracelet. 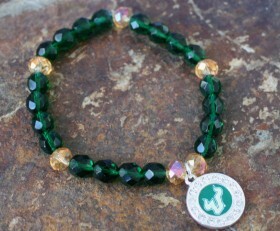 Green crystal beads with gold crystal accents and a USF charm with crystals make this bracelet sparkle. 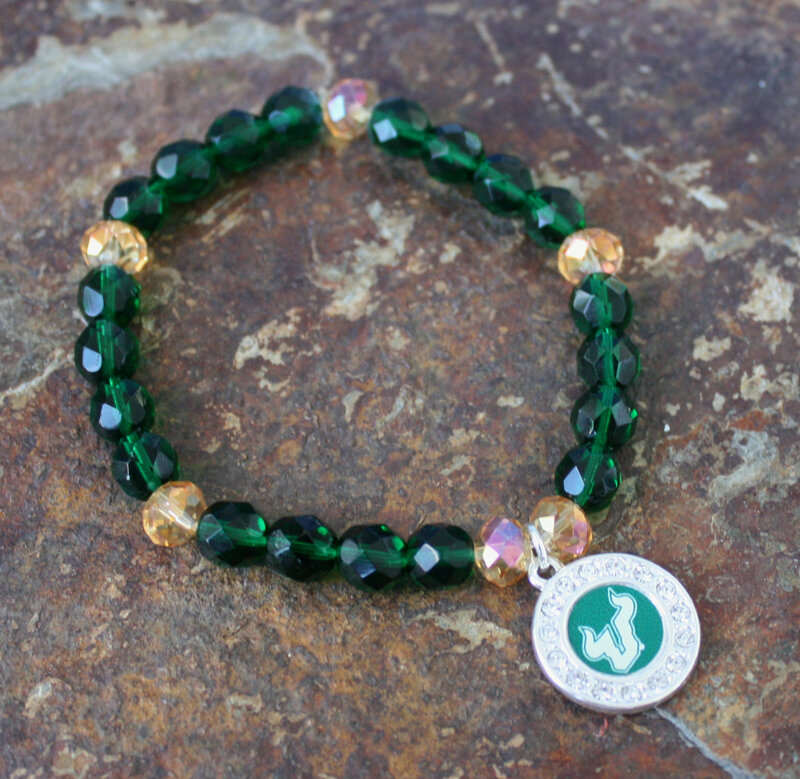 Categories: Beaded Bracelets, Bracelets, Collegiate Jewelry, New, Sports.